White empty sandbags for flooding to be filled with sand. 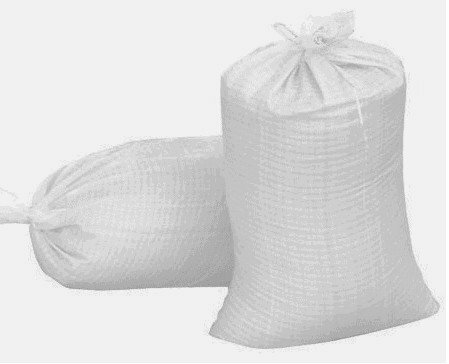 Woven polypropylene sand bags that is resistant to punctures and tears. Maximum UVI protection. Dense and tight weave which holds any dry substance. Built in empty sandbags with ties. Flooding bag. Affordable, Re-Usable, flood protection, construction projects, remodeling projects, erosion control, and as ballast. Bundle of 20 bags 26 by 14. Includes ties for all bags. These will stop water intrusion to your house, driveway, construction site. Easy to fill, Empty White Woven Polypropylene Sandbags, Maximum UV sun protection! If you have any questions about this product by Frog It, contact us by completing and submitting the form below. If you are looking for a specif part number, please include it with your message.